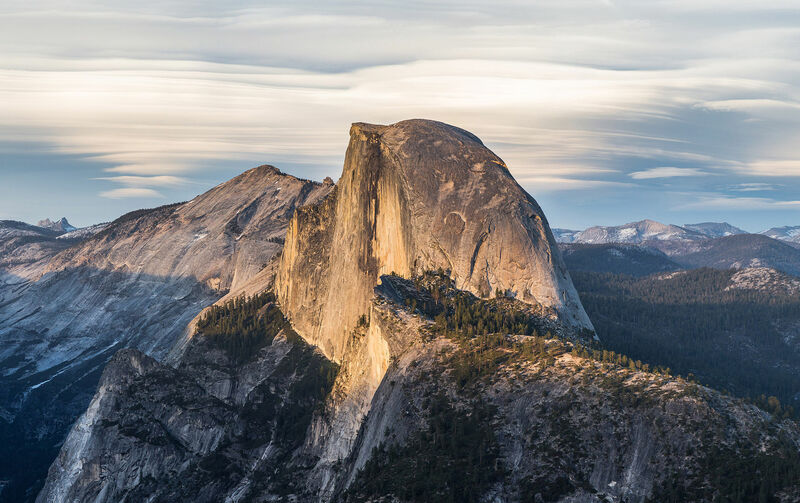 The aptly named Half Dome is possibly Yosemite's most familiar rock formation. The granite crest rises more than 4,737 ft (1,444 m) above the valley floor and the drop from the top is nearly vertical. 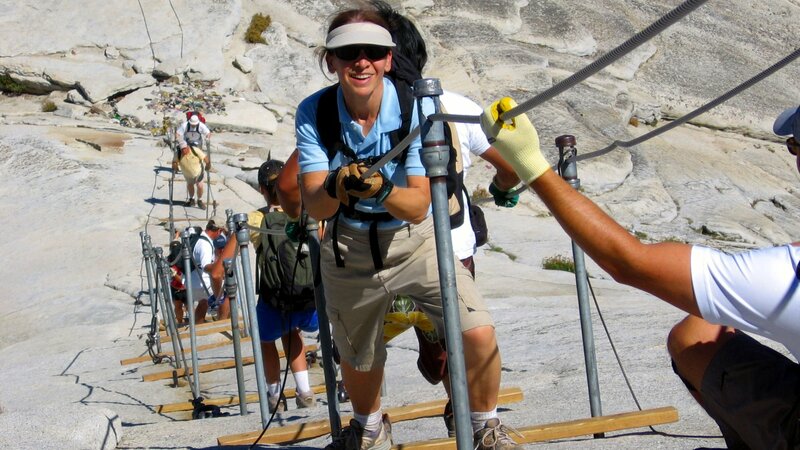 Hiking to the summit is not for everyone but those taking the effort are rewarded by incredible views over the Yosemite National Park. There are several hiking routes in the area and the top of the dome is accessible even without climbing gear. This is made possible by a cable system installed in the last 400 feet to the summit in 1919. 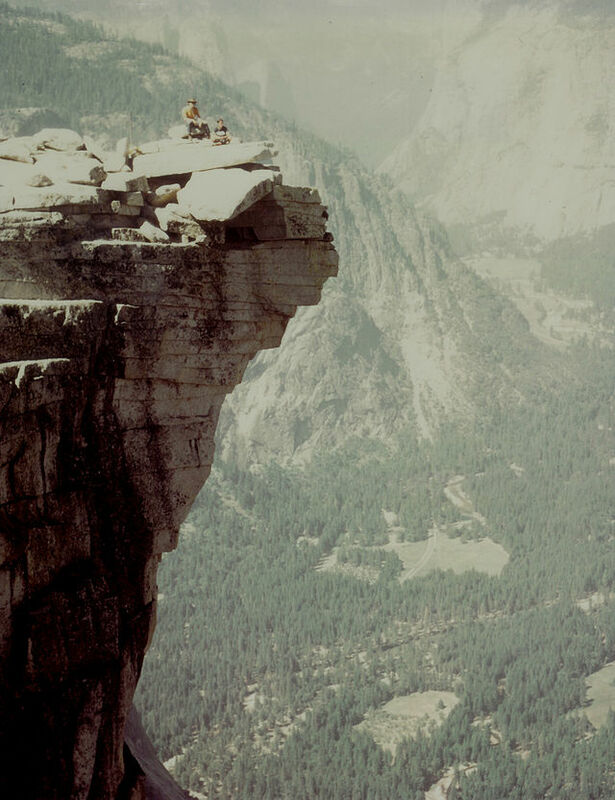 Since 1919, relatively few people have fallen and died on the cables. Due to the crowds, the park authorities have introduced a permit system to access the cable section of the trail. There is a parking lot right next to the trailhead. If the trailhead lot is full, you can park at Curry Village. There is also a free shuttle bus from the other Yosemite parking lots to the trailhead. Just note that the buses don't start running until 7 a.m. in case you are planning an early start. Hiking to the top is possible only when the cables are on place. The cables usually go up in May the weekend before Memorial Day weekend and come down after Columbus Day weekend in October. Entering the permit lottery costs $4,5 and the winners need to pay an additional $8 to get the permit.